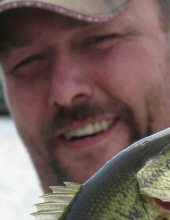 He was an avid outdoorsman, camper, and fisherman; he even made his own fishing lures. Another passion was cooking, especially at get-togethers and holidays. He was free spirited, big hearted and was dedicated to his children, family and friends. Kevin will be deeply missed by his son Sebastian, daughter Katrina, parents Roger Couillard and Norma Couillard; brothers Craig (Angela) and Cory (Kim); nieces Sydney, Emme, and Erin; and many other relatives and friends. He was preceded in death by his grandparents Alfred and Grace Offner and Elzer and Harriet Couillard. To send flowers or a remembrance gift to the family of Kevin R. Couillard, please visit our Tribute Store. "Email Address" would like to share the life celebration of Kevin R. Couillard. Click on the "link" to go to share a favorite memory or leave a condolence message for the family.